SKU: N/A. 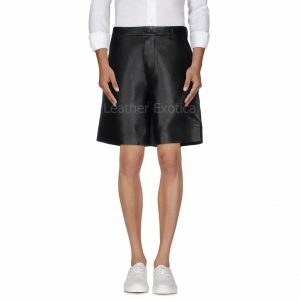 Category: Leather Shorts. 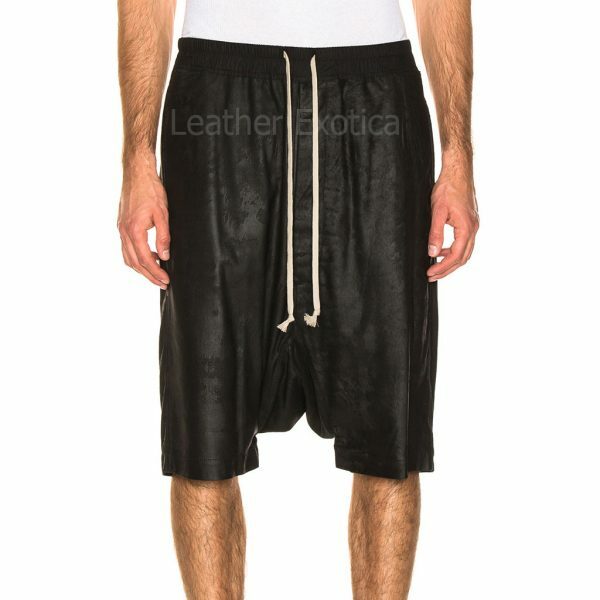 Hold this Drawstring elastic waist Men Leather Shorts which is crafted from lamb skin leather and featured with Drawstring elastic waist. It has front Button fly and side slit pockets. 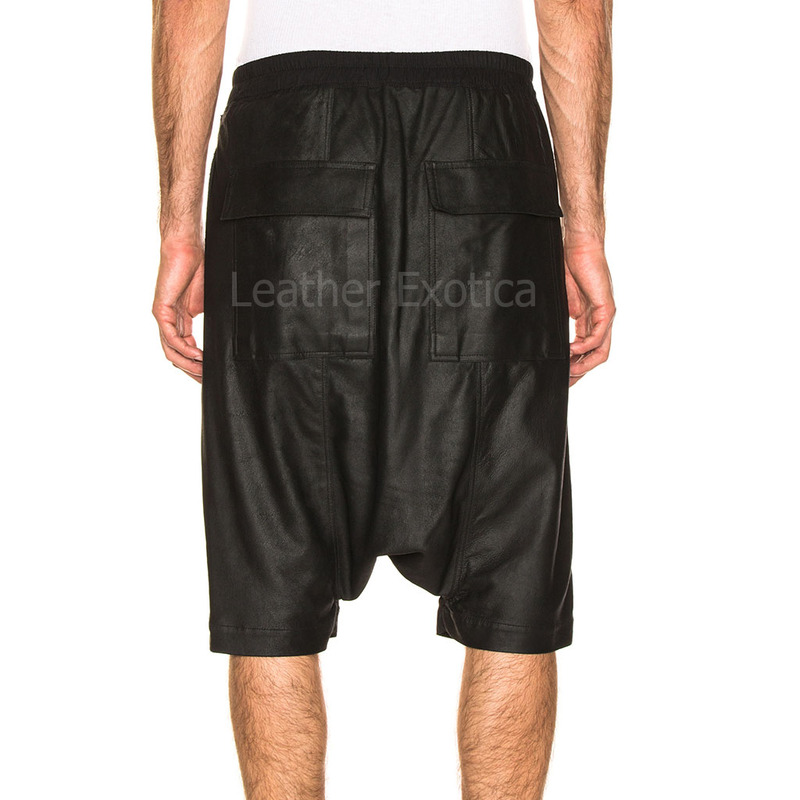 This leather shorts has back flap pockets with button closures. 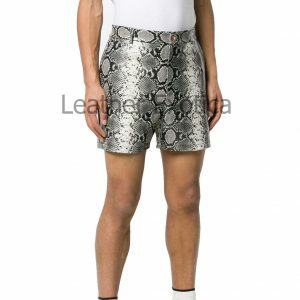 Also it is fully lined and available in many colors and all sizes. 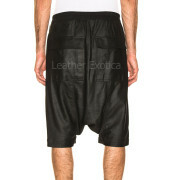 So men get this amazing style leather shorts now. Hurry up! !